Shelli is the firm’s office manager. 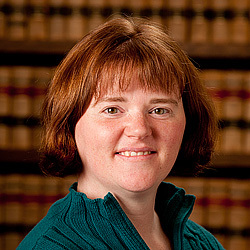 She has over 20 years of experience in the legal profession. After obtaining her Associate of Arts Degree, she worked for various Seattle area law firms including Keller Rohrback and Betts, Patterson & Mines. She joined Hugg & Associates in 2008. Shelli enjoys spending time with family, crafting, hiking, kayaking and fundraising for various charities. She is dedicated, hard working and always happy to lend a hand.